ninko – invisible fox spirit, that can only be seen by humans that have been possessed by one. In classical Japanese, kitsu-ne means come and sleep, and ki-tsune means always comes. 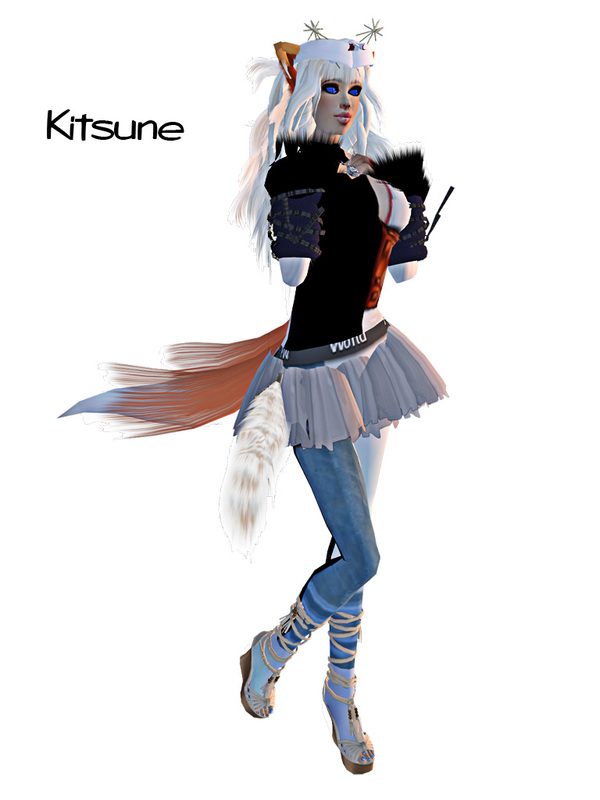 (Wikipedia) It is important to note that Kitsune are part of Japanese folklore while the neko is part of anime and manga creation and do not have a historical conterpart other than the “Bakeneko” demon cat. But they are often confused for one another. If you want to look for a kitsune they live at the end of rainbows and usually are out playing when it rains. But don’t watch a fox wedding as this will bring out their angry side.